Is Mickeys Not So Scary Halloween Party Worth It For 2019? Tickets have been released early for the 2019 Halloween party, but is it worth it this year? 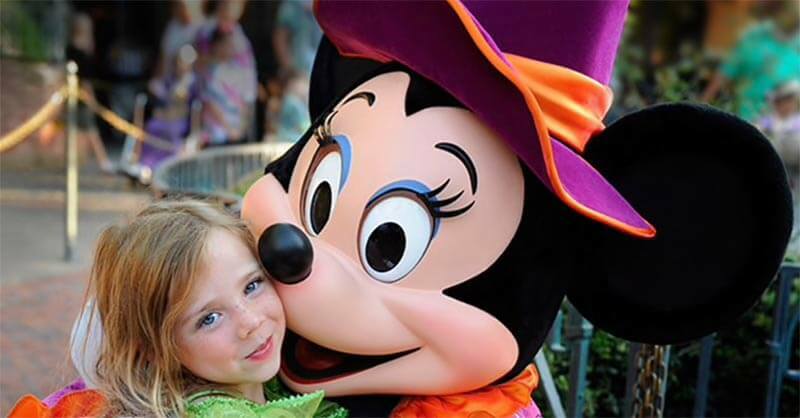 Mickey's Not-So-Scary Halloween Party has long been a favourite among Disney World fans. However, as the general feelings towards the party have diminished over the last couple years, is it worth doing in 2019? When I go to Disney World, I usually go around around September time. The kids are normally back to school, it's still warm, and there are events I really enjoy like the Epcot Food & Wine festival. Even though there are downsides of going that time of year, like dealing with hurricanes, I would still recommend it. I've known about Mickey's Not-So-Scary Halloween Party for many years, but never really felt the urge to do it. With the amount of money it costs to go as it is, the thought of spending even more money for an evening at Magic Kingdom was just something I never used to contemplate. 2017 was the first year I decided to check it out. In my 2017 Mickey's Not-So-Scary Halloween Party review I gave it high praise as a first timer. I even dressed up for the occasion, which certainly added to the fun. I went again in 2018, and in my 2018 Mickey's Not-So-Scary Halloween Party review I was left disappointed. The meet and greet lines were incredibly long, to meet the Seven Dwarfs there was a 1 hour and 30 minute wait. That's about a 1/4 of your whole night. We couldn't get to central Plaza to watch Hallowishes because it was just too crowded. We missed both parades because there were no space anywhere. We went to find a spot earlier than we did in 2017 and there was just nowhere to stand where you could see anything. It also felt like cast members were told to give out less candy. We'd only get 2 or 3 bags at the best of times, and when coming off Space Mountain, the cast member grabbed one little bag of skittles to give to me. We've had people say the opposite, so maybe we were just unlucky. Cast members who we talked to after the party (including Minnie Van drivers) were echoing these same thoughts. Simply saying it's too busy, and even more so on Friday nights and weekends. For 2018 they added a few new quirks which were appreciated. The teacups had new lighting, there was a new kids dance area, the pirate Pete character at Pirates Of The Caribbean was added (which I hope they don't continue with this year), and being able to ride Space Mountain with the lights off (which was incredible). It's not clear if those things will continue in 2019, and at time of writing, there doesn't appear to be anything new for 2019. Hopefully that'll change. We will likely do it this year following the advice of cast members (as described below), but if too many tickets are being sold, there's no planning that can really get around that problem. If this year is another disappointing year where it's too crowded, we won't be doing it again. Overall, Mickey's not-so-scary Halloween Party is a hard-ticketed event that is generally worth experiencing if you haven't done so already. If you've been before and really loved it, then you should keep doing what you love. If you're on the edge like I am, you'll have to work out if the extra cost for this kind of experience is worth it for you, or if you want to put that budget towards something like After Hours party (which was awesome). There are several parts to the party that might make it completely worth it to you. I know some parents love to go just so their kids can trick or treat in a safe environment. 2019 might be a good year to experience this party, especially if you haven't done it and you're going at that time of year. A good amount of people are putting off their holidays to Disney World and waiting until 2020 for Star Wars: Galaxies Edge to open, so the parks might be a little less crowded before Star Wars: Galaxies Edge opens. The way Disney are discounting rooms in the USA until November is a sign of things being a little more quiet. So, who knows!